Please donate and support this independent film! I am very proud of the fact that we were able to create the film 16 Photographs At Ohrdruf on a small budget. I am forever grateful for the generosity of the United States Holocaust Memorial Museum, Lesley University, FLUID, Mr. Bronx Audio Post and The Smith Foundation. However, now I need your help to get this film out into the world, and to keep the story of these 16 pictures alive. Starting today and running through April 4, I am asking for your financial support by donating to our campaign at IndieGoGo. This is a great crowdsourcing opportunity to make a contribution to the film, and to get some cool perks as thanks from me! The campaign ends on April 4th so please consider donating today! Why April 4th, you ask? 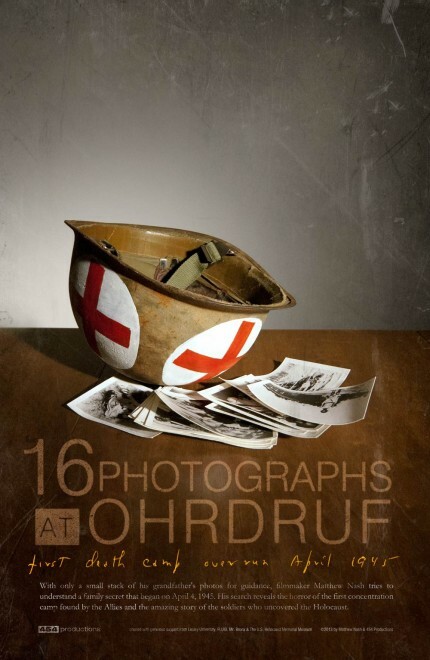 On that date in 1945, U.S. soldiers uncovered their first concentration camp at Ohrdruf, and 68 years later we will be hosting the first screening of 16 Photographs At Ohrdruf. So help us commemorate this historic date, and join us for the first public screening of the film knowing that your support is helping to make future screenings possible. Click here to go to the IndieGoGo campaign and read about where your money will go and the impact it will have on the film. The story of Ohrdruf is very important and your donation will help keep this moment in history alive. You can also see what perks are available to thank you for your generosity. Finally, I know that there are a lot of these crowd-sourced campaigns asking for your money. 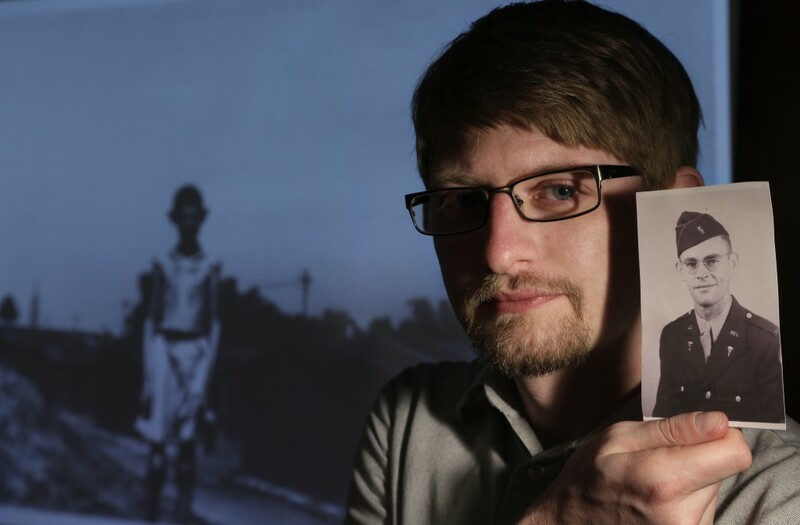 I wouldn’t ask if it weren’t necessary to get this film into screenings and film festivals where people can see for themselves what happened on April 4, 1945. I truly believe in this story and I hope that you do too! Thanks for considering a donation, and for sharing this campaign with your friends. P.S. if you are interested in learning more about the film and some of the stories that ended up on the cutting room floor, check out some of the Ohrdruf Extended pieces on this blog.